The invention of the AC induction motor was—and still is—a huge technological advancement that affects everyone. It impacts our daily life so much because we use it in so many appliances from a house fan to an electric motor. It was the first major success in Tesla's life and it led to his ENCOUNTER and EXCHANGE with Westinghouse. 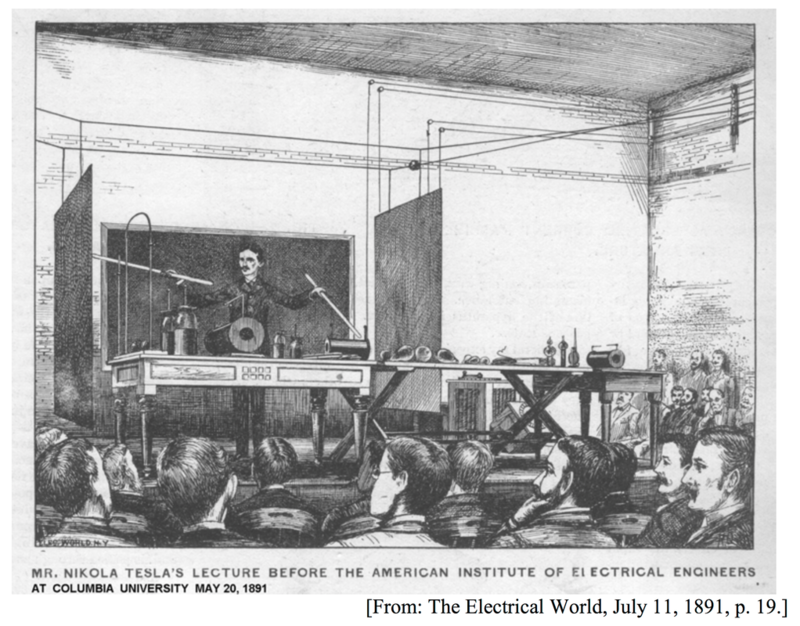 "On May 16, 1888, Nikola Tesla stood before the prestigious American Institute of Electrical Engineers at Columbia University. On the table rested a small electrical machine that was about to change the way electricity was generated and utilized.... With the flick of a switch, the powerful little motor came to life, and a new era in technology began." ​Tesla: Master of Lightning, 1999. "Tesla's most famous invention, the AC motor, has been called a technological advance equivalent to the wheel. The analogy is justified by the immense impact the two discoveries had on subsequent technological development."